The university is a place where people from different cultures and experiences learn together; understanding and respecting these differences are critical for the University to be a place of open-minded inquiry where, in challenging the boundaries of knowledge, we include and value all members of our community. 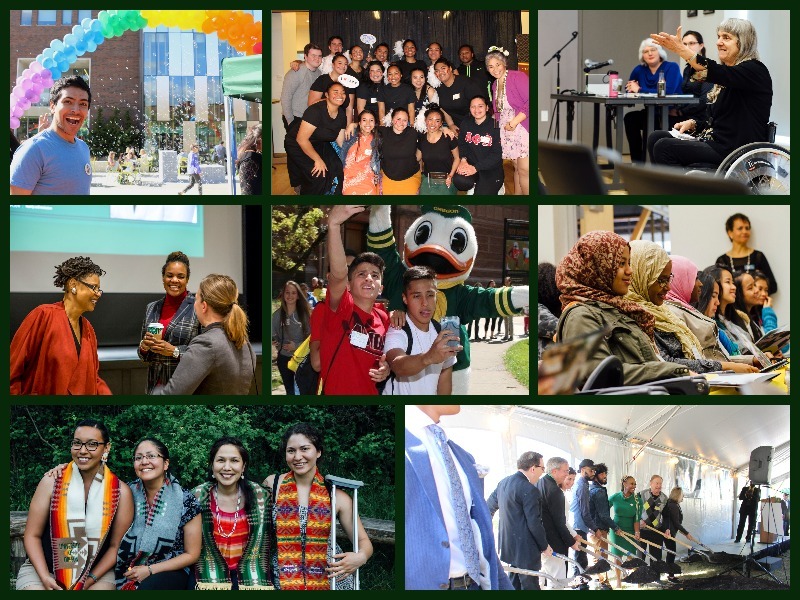 We therefore affirm, in the words of the UO Mission Statement, "the principles of equality of opportunity and freedom from unfair discrimination for all members of the university community and an acceptance of true diversity as an affirmation of individual identity within a welcoming community." We affirm the university's commitment to equity, to diversity, and to the development of faculty, students, officers of administration, and staff who will participate effectively in a global society. A university that values diversity respects diversity of opinion. As the Mission Statement avows, "freedom of thought and expression is the bedrock principle on which university activity is based." The exercise of that freedom also carries responsibilities. Intellectual honesty asks us to acknowledge the right of others to examine our assumptions, facts, and conclusions. Intellectual rigor asks that we assess the grounds on which we base our opinions and remain open to alternative analysis. Ethics and evenhandedness commits us to consider the effects on others of what we say. As members of the university community, we take it upon ourselves to protect and enhance all intellectual discourse and to discharge the obligations such investigation requires of us. To that end, we should constantly work to make ourselves more adept at understanding how race, ethnicity, national origin or citizenship, gender, religious affiliation or background, sexual orientation, gender identity, economic class or status, political affiliation or belief, and ability or disability affect the way we live and learn, so that we are better able to respond to intolerance and prejudice, which violate our purpose and mission.